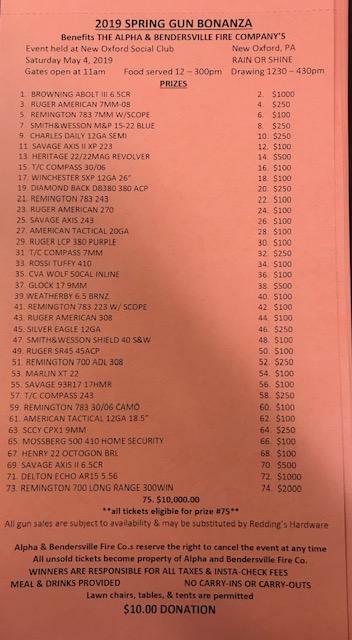 Our 2019 Spring Gun Bonanza Tickets are now available. If you are interested in buying or selling tickets, please contact any member. You can also call or text Nick Cook at 717-752-0732.